April 17/2010 My first Long Course swim meet since High School! Downtown Toronto. MELTEAGUE is a SparkPeople Motivator! It is now 2017 and I am out of shape, literally and fitness wise, and it is time to take care of myself better. As a writer, there is a lot of time spent in a chair, reading or writing, so I have to do something to combat the middle age spread. Plus, I am so unfit. I no longer have low iron issues (yay!) so this should go better then it did before. So starting June 12th I started my road back to health! LIFESTYLE IS KEY! That ever precious BALANCE is what I am striving to achieve! I have increased my exercise 200 % and am seeing a huge difference in definition and fitness, now to keep up the consistency ! Small changes today , make big changes in the end! HEY you know what !!! I CAN SO do this!!!! JUST BELIEVE!!!! 8. Have started RUNNING AND CYCLING to train for Try a tri ...NEVER THOUGHT I COULD DO THAT!!!! 9.July 3 weeks out of the water , sick ....but trained on my own ( Lane swim ) through the summer . 10 . have been tracking food and getting refocused for 3 weeks now...started at 152 lbs on July 26..2009...and am now at 148.00 ( august 11/09).....I have 7 pounds at least to go! FINALLY the ticker is moving! A renewed effort to eat healthy and resist that SWEET TOOTH!!! This year I want to work on a more positive self image ( which comes from Within and radiated out) and out of that to reach out and motivate others! MAY 2009 Competed in Nationals Master Swimming Championships in Canada. JULY 11/09 I finished my first TRY A TRI in Kincardine, it was my birthday present to myself and it came with a relaxing weekend away at a cottage on Lake Huron...what a treat ! I AM READY!!! lets go , lets step up!!! OK AND LETS NOT FORGET TO HAVE FUN!!!! AUGUST 2009 - started weight training program with hubby! Nov 20 REACHED GOAL WEIGHT 142 Lbs! I reached 300 000 metres swum last week! whoo hoo! Shaved 2 seconds off my best breastroke 50 m time, did FLY for the first time in a race! Hmmm , must RESTART THAT ST program, gave it a rest while I recovered from twisted knee! Nov 6 my mother passed away and I went back to South Africa for the funeral , got bronchitis...no swimming for 3 1/2 weeks...long road to recovery , but I learned a lot about survival!!! !and about how great my SP friends are. Dec 1/09 first time back in the pool after being sick...did 2,250 metres and swam 65 min! that was s very happy day for me! Dec 20 - 26th I swam 11 out of the 12 days of Christmas swim, which was 7,150 metres in all..( 3 hours) and then did 2,950 in Lane swim and another 2,200 in Lane swim , a total of 12,300 metres in one week! I got dimples in my knees that were not there before! Feb 2010 - Inspired by the VANCOUVER 2010 Olympics! wow! April 13/2010 - crossed my 500 000 metre mark of swimming in the "Million metre challenge!" ...half way there! whoo hoo! April 17/2010 U of T swim meet , first long course swim as a Masters swimmer . (April 17 /2010 ) Downtown swim meet! July 24th /2010 - My first newspaper article got published! Aug 24/2010 - Post camping trip resolve to lose those 10 Lbs that I put on over the summer! Sept 14/2010 Season # 3 of swimming training started. Took a week to get back to form...but doing ok.
Sept 21st - Start of NO SUGAR ADDED focus.... a few hiccups along the way...so re committed to it Oct 25th, 2010. So far so good! Women age group ï¿½ 35 ï¿½ 39 for 25 meters Back ï¿½Time 20:12 seconds ï¿½ First place. Women age group ï¿½ same - for - 25 meters FLY ï¿½ Time: 20:02 seconds ï¿½ First Place. Women age group - same ï¿½ for 25 m Breast stroke ï¿½ Time : 23:04 seconds ï¿½ First Place. for 50 m backstroke ï¿½ Time : 42.78 seconds ï¿½ Second place. Jan 2011 and I am at 154 lbs ! What is up with that!~ so quest for Balance this year , body , mind/soul and spirit! Jan 2011 - started Wii Fit YOGA! ( 30 - 45 min a session) min 2 times a week , max 4 times. March - work outs are averaging 3000 m now! Participated in 2011 Canadian Masters swimming Championships, our team came 2nd in Canada and I swam all personal best times and surprised both myself and my coach. June- weight back down to 150 lbs! FINALLY! only 5 to go! Received " Nancy Black" Award 2011 June! STARTED C2 5K on July 24/2011 after reaching a high of 160 lbs! Determined to fight against age, hormones and genetics! On Palio diet, trying to curb the sugar cravings! I will win this! Started on the slow and steady journey to lose these 20 pounds I gained! It has been a while since I updated this but BREAKING NEWS!!! I am now sugar free and loving it! 2 weeks no sugar , over a month no coffee and I feel great. Still eating Paleo and on the quest to find a way to make paleo friendly maki rolls! 4 pounds down in the last 2 weeks, off to a great start! No going back now, no matter what the scale says....the freedom to choose is wonderful and I have chosen to go to bed every night with a clear conscience when it comes to food. NO longer is sugar going to control me! Never again! I am free! Whooo hoo! August 17 and I am 7 - 8 pounds down. ( Due to natural fluctuations) Love being Sugar free! It is really liberating, no more binges and emotional eating! This week ( Aug 15 & 17th ) I completed session 1 & 2 of C 2 5K! Wow! And I can't wait to keep going and get to 10 K! 2013 has been a YO YO year, I have gone right down to almost 150 pounds and right up to 166 pounds! This led to bloodwork and an investigation by my doctor and I as to what the issue is. Turns out it is Iron deficiency, anememia and a crashed metabolism. So we are working on treating the cause, and implementing a training system that will rev up my metabolism. The BAD NEWS is that I will have to be patient, I will not see a change in weight or body shape for at least 4 - 6 months! Heck...if it works, I don't' care! 2016 : FINALLY Iron levels are normal! That is a first in years!! So now get get fit again! To be at a constant , healthy weight , without yo - yo-ing up and down! TO control my sweet tooth by eating LOW GLYCEMIC... AND EATING CLEAN. I have to admit this is a constant struggle! To be fit and strong for my kids, family and more importantly for MYSELF..
To be more active and encourage my family to be active and to enjoy life!!! 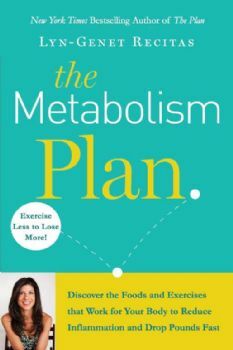 As of April 2013 I started "THE PLAN" by Lyn-Genet and in the first week I lost close to 5 pounds ! Female, 39 yrs old...Happily married with 2 kids. Living in Canada , born in South Africa .Started new career in Writing in June 2010. JUST DO IT, DON"T THINK ABOUT IT ...YOU NEVER KNOW WHAT YOU CAN ACHIEVE IF YOU TRY!!! UPDATE: It is now 2017 and I am out of shape, literally and fitness wise, and it is time to take care of myself better. As a writer, there is a lot of time spent in a chair, reading or writing, so I have to do something to combat the middle age spread. Plus, I am so unfit. I no longer have low iron issues (yay!) so this should go better then it did before. So starting June 12th I started my road back to health! ..................................................................................... To think that in April 2008 I was not an athlete at all, I had joined SP and knew I had to get active, but deceived myself into thinking the occasional walk was good enough....Now a year later what have I achieved? ( well now in 2010 it is 2 years later! ) 1 .May 08 started Swimming 3 - 4 times a week at Lane swim 2. Joined Swim team 3. Brantford Oct 08 - First swim meet 4. Kingston Nov 08 - 2nd swim meet 5. Shoulder injury , swam through it ( dec 08 won Liberty award from my team for swimming through injury and not giving up) 6. signed up for Try a Triathlon in July - ( signed up and started training in April 09) LIFESTYLE IS KEY! That ever precious BALANCE is what I am striving to achieve! I have increased my exercise 200 % and am seeing a huge difference in definition and fitness, now to keep up the consistency ! Small changes today , make big changes in the end! HEY you know what !!! I CAN SO do this!!!! JUST BELIEVE!!!! 2009:THIS IS A NEW YEAR : 7. May 16 & 17th 2009...I participated in NATIONALS MASTER SWIMMING COMPETITION in CANADA!!! ( personal best times) 8. Have started RUNNING AND CYCLING to train for Try a tri ...NEVER THOUGHT I COULD DO THAT!!!! 9.July 3 weeks out of the water , sick ....but trained on my own ( Lane swim ) through the summer . 10 . have been tracking food and getting refocused for 3 weeks now...started at 152 lbs on July 26..2009...and am now at 148.00 ( august 11/09).....I have 7 pounds at least to go! FINALLY the ticker is moving! 11. learned an important lesson about ATTITUDE determining MY SUCCESS OF FAILURE... 2009-: I am focused on increasing muscle mass and decreasing fat . I have done well to maintain 3x week swimming, but my goal this year is to add some "dry land" training...I want a more proportioned body which is within my reach I think... A renewed effort to eat healthy and resist that SWEET TOOTH!!! This year I want to work on a more positive self image ( which comes from Within and radiated out) and out of that to reach out and motivate others! MAY 2009 Competed in Nationals Master Swimming Championships in Canada. June 2009 - Recieved " Most improved Female duck ( swimmer ) award at the Year end banquet /party we had for my Swim team Did a 12 km cycle and a 300 m swim in preparation for the TRI A TRI on July 11th JULY 11/09 I finished my first TRY A TRI in Kincardine, it was my birthday present to myself and it came with a relaxing weekend away at a cottage on Lake Huron...what a treat ! I AM READY!!! lets go , lets step up!!! OK AND LETS NOT FORGET TO HAVE FUN!!!! AUGUST 2009 - started weight training program with hubby! Nov 20 REACHED GOAL WEIGHT 142 Lbs! Small changes today , make big changes in the end! HEY you know what !!! I CAN SO do this!!!! JUST BELIEVE!!!! 2009 /2010 SWIM YEAR STARTS TODAY...Team sign up is tonight and I am so excited ! Sept 15/09 I reached 300 000 metres swum last week! whoo hoo! OCT 15 or something - COMPETED AT BRANTFORD, Shaved 2 seconds off my best breastroke 50 m time, did FLY for the first time in a race! GOT 2 RIBBONS...cand 3rd in both 50 back and 50 breast in my agegroup! whoo hooo Nov1 /09 Started changing diet to LOW GLYCEMIC ..... Hmmm , must RESTART THAT ST program, gave it a rest while I recovered from twisted knee! Nov 6 my mother passed away and I went back to South Africa for the funeral , got bronchitis...no swimming for 3 1/2 weeks...long road to recovery , but I learned a lot about survival!!! !and about how great my SP friends are. Nov 26/09 reached goal weight 142lbs Dec 1/09 first time back in the pool after being sick...did 2,250 metres and swam 65 min! that was s very happy day for me! Dec 20 - 26th I swam 11 out of the 12 days of Christmas swim, which was 7,150 metres in all..( 3 hours) and then did 2,950 in Lane swim and another 2,200 in Lane swim , a total of 12,300 metres in one week! 2010: My metres for swimming training are increasing ..... I am running treadmill once a week on Fridays... progress there... I have started being more consistent with Strength training... 2010 : Discovered CLEAN EATING and started implementing it ( Tosca Reno) - the weight dropped off! I realised NUTRITION is key to my performance as an athlete! ( AN ATHLETE!!! YES I AM AN ATHLETE!!) Feb 2010 : I got dimples in my knees that were not there before! crossed 30 000 fitness minutes Feb 19/2010 crossed 450 300 metres in MILLION METRE CHALLENGE! at the same time! ( SWIMMING ) Feb 2010 - Inspired by the VANCOUVER 2010 Olympics! wow! What a great example! April 13/2010 - crossed my 500 000 metre mark of swimming in the "Million metre challenge!" ...half way there! whoo hoo! April 17/2010 U of T swim meet , first long course swim as a Masters swimmer . (April 17 /2010 ) Downtown swim meet! results: FOR AGE GROUP 35 -39yrs Placed 1st in age group for 50 m backstroke ( LC ) placed 2nd 100 m Backstroke ( LC) placed 3rd Medley relay ( LC) Placed 3rd 100 m breast stroke (LC) April 26 - Did 12 poses of Yoga - first time ever doing Yoga!~ July 24th /2010 - My first newspaper article got published! Aug 24/2010 - Post camping trip resolve to lose those 10 Lbs that I put on over the summer! Sept 14/2010 Season # 3 of swimming training started. Took a week to get back to form...but doing ok. Sept 21st - Start of NO SUGAR ADDED focus.... a few hiccups along the way...so re committed to it Oct 25th, 2010. So far so good! Oct 16/2010 - BRANTFORD swim meet - So here are this year's results: Women age group ï¿½ 35 ï¿½ 39 for 25 meters Back ï¿½Time 20:12 seconds ï¿½ First place. Women age group ï¿½ same - for - 25 meters FLY ï¿½ Time: 20:02 seconds ï¿½ First Place. Women age group - same ï¿½ for 25 m Breast stroke ï¿½ Time : 23:04 seconds ï¿½ First Place. Women age group 35 ï¿½ 39 for 100 m Freestyle ï¿½ Time: 1:26.51 secondsï¿½ Second place for 50 m freestyle ï¿½ Time: 38:39 seconds -Second place for 50 m backstroke ï¿½ Time : 42.78 seconds ï¿½ Second place. Jan 2011 and I am at 154 lbs ! What is up with that!~ so quest for Balance this year , body , mind/soul and spirit! Jan 2011 - started Wii Fit YOGA! ( 30 - 45 min a session) min 2 times a week , max 4 times. March - work outs are averaging 3000 m now! Went Gluten Free! Jeremiah 29:11 For I know the plans I have for you," declares the LORD, "plans to prosper you and not to harm you, plans to give you hope and a future." Participated in 2011 Canadian Masters swimming Championships, our team came 2nd in Canada and I swam all personal best times and surprised both myself and my coach. June- weight back down to 150 lbs! FINALLY! only 5 to go! Received " Nancy Black" Award 2011 June! Received my first cheque for writing( july 2011 ) , after my career change a year ago in July, 2010 STARTED C2 5K on July 24/2011 after reaching a high of 160 lbs! Determined to fight against age, hormones and genetics! Turned 40 yrs old on July 18/2011 2012 Trained 8 weeks in the gym with trainer for my Siberian trip On Palio diet, trying to curb the sugar cravings! I will win this! Started on the slow and steady journey to lose these 20 pounds I gained! It has been a while since I updated this but BREAKING NEWS!!! I am now sugar free and loving it! 2 weeks no sugar , over a month no coffee and I feel great. Still eating Paleo and on the quest to find a way to make paleo friendly maki rolls! 4 pounds down in the last 2 weeks, off to a great start! No going back now, no matter what the scale says....the freedom to choose is wonderful and I have chosen to go to bed every night with a clear conscience when it comes to food. NO longer is sugar going to control me! Never again! I am free! Whooo hoo! August 17 and I am 7 - 8 pounds down. ( Due to natural fluctuations) Love being Sugar free! It is really liberating, no more binges and emotional eating! This week ( Aug 15 & 17th ) I completed session 1 & 2 of C 2 5K! Wow! And I can't wait to keep going and get to 10 K! YES I SAID THAT! ( I am shocked!) 2013 has been a YO YO year, I have gone right down to almost 150 pounds and right up to 166 pounds! This led to bloodwork and an investigation by my doctor and I as to what the issue is. Turns out it is Iron deficiency, anememia and a crashed metabolism. So we are working on treating the cause, and implementing a training system that will rev up my metabolism. The BAD NEWS is that I will have to be patient, I will not see a change in weight or body shape for at least 4 - 6 months! Heck...if it works, I don't' care! Starting Sept 2013 - New exercise regime Iron deficiency treatment operation Metabolism boost underway! Cheerleaders needed - thanks! 2016 : FINALLY Iron levels are normal! That is a first in years!! So now get get fit again! TO LAUGH MORE.... To be at a constant , healthy weight , without yo - yo-ing up and down! TO control my sweet tooth by eating LOW GLYCEMIC... AND EATING CLEAN. I have to admit this is a constant struggle! To be fit and strong for my kids, family and more importantly for MYSELF.. To be more active and encourage my family to be active and to enjoy life!!! ï¿½Laziness is nothing more than the habit of resting before you get tired.ï¿½ The choices before me are mine to choose, win or lose! Don't wait until you "feel like it " to exercise, that only happens AFTER YOU ARE DONE! ( the first 10 minutes are the hardest, after that it gets easier to keep going) You never know what you might achieve if you just go for it and push through! 2/1/2018: Happy February and it has been a while! 10/12/2017: I go to Reno Gym, it works! Eat, Shrink and Be Merry! Hi Mel, great to hear from you. Love your new picture! How was your summer and how are the kids adjusting to being back in school? We had a wonderful summer in Denmark, where our daughter is now living. We had a lovely time with lots of family visiting. Back in Mexico again and enjoying the sunshine. Hi Mel, thanks for stopping by my page and Happy New Year! How have you been? Are you done with the remodel and how did it turn out? I have been well, still doing yoga every day (Yoga with Adriene, YouTube) and loving it. Our winter so far has been a little warmer than usual, really nice. Hope you can post some pics of the remodel soon! I am good! I have been gone awhile because I use the app, plus I joined weight watchers. It works! How are you? Way to go!!! You had a great summer, well done getting back on track and losing 10 pounds. My weight has been up and down but now we are settled I am back on track and back below 140 (only just) Now for the next 5!